Labor Day weekend is almost here! Celebrate by taking the family to one of these super fun, family-friendly events this weekend. Arts & crafts, festivals, shows, archery and more! All happening this weekend in and around Boulder. A special craft time at Mamie Doud Eisenhower Public Library for children ages 2 and up and their caregivers. No registration is required and all supplies are provided. Start your craft any time between 2:30 and 4:15 on each designated Friday and make two fun seasonal crafts to take home. Saturday Morning Kid’s Art Exploration at POSHsplat is a time for the kids to explore different materials, work together and independently on art projects, and most importantly have fun! All groups facilitated by an art therapist, who is there for support, guidance, and assistance during the art making process. The kids will be able to use different materials like sewing, clay, beads, paint, collage, and more. A place for them to experiment, play, and just be a kid surrounded by art materials at their disposal! Cost: $30 per kit*, tickets available here. Create your very own magical fairy garden at Shelly’s Garden Country in Broomfield. Do one for yourself or bring along a friend or child and spend time together creating memories. Fairy gardens are so much fun and something the entire family will enjoy. *$30 fee includes container, 1 plant and 1 figurine. Soil and Moss included. Just as the Boulder Creek Festival® kicks off the summer in Boulder County, the Boulder Creek Hometown Festival is the perfect bookend to close out the summer event season. This event features arts & crafts exhibitors in Central Park, live performances at the Bandshell, the Hometown Fest 5K, a Classic Car & Motorcycle Show, the Rocky Mountain Pizza & Pints Festival, a food court & beer garden, and much more! Don’t miss out on the festivities of this community event each Labor Day weekend! Labor Day in Louisville is the biggest community celebration of the year, the Labor Day Parade and Fall Festival. Don’t miss the chance to come together with friends and neighbors to experience a weekend celebrating the community spirit of Louisville. The highlight of the weekend for many is the Labor Day Parade which takes over the streets of Downtown Louisville on Labor Day morning. Be sure to try out some of the other fun activities including the Bocce Ball Tournament, Children’s Pet Parade, Homemade Pie Contest and more! For more info including parade registration forms available at: www.louisvilleco.gov/LaborDay. For the full schedule of events, click here. 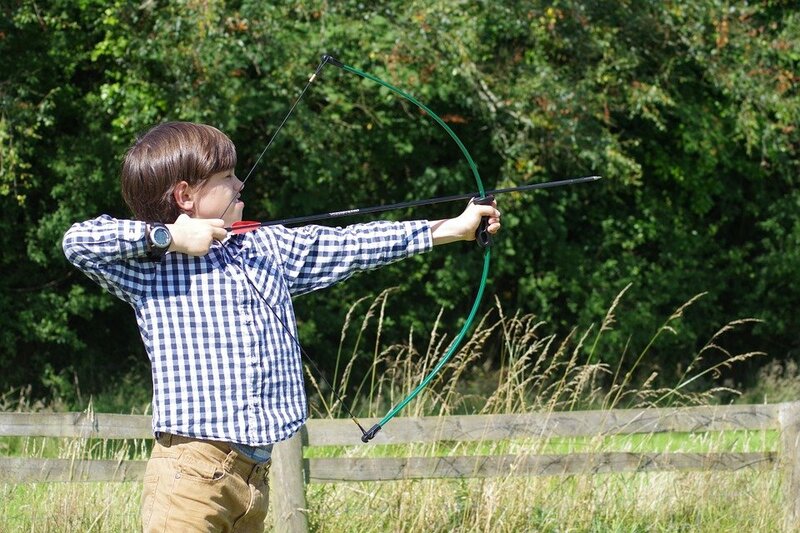 Come and try archery for free on this free shoot day at High Altitude Archery. Kids and adults are welcome. The High Altitude Archery range features 37 lanes a standard 20 meters indoor distance divided into 3 separate practice areas. High Altitude Archery’s lanes are extra roomy for a comfortable shooting experience and marched in accordance with World Archery specifications. Have you ever dreamt you were flying? Have you ever thought how wonderful would it be to fly free as a bird? Discover the mystery of flight with Leonardo da Vinci, Montgolfier brothers, Wright brothers and other inventors in Dream to Fly at CU Boulder’s Fiske Planetarium. Experience the adventure with powerful images and music, an immense and challenging dream, for which mankind has strived since the beginning of history. “Dream to Fly” describes the most important milestones on our route to conquering the skies—both in terms of technological breakthroughs, as well as our perceptions on flying itself.